Originally called Campbell’s Hardware, we bought into the Ace Hardware Co-Op in 1965. Ace Hardware & Sports has become an institution by operating in downtown Midland for almost 50 years. We are proud to have been the locally owned Ace Hardware store serving Midland all that time. It was purchased by Fred White in 1969 and has been family owned an operated since then. Gregory White took over the business in 1996, and continues to oversee Ace Hardware & Sports today. We’re not just locally owned, we have also been a family business for over 40 years. Gregory L. White graduated from Western Michigan University in 1972 majoring in mathematics. He then served in the US Navy for 3 years before returning to his home town of Midland. He has worked at Ace ever since. Ace Hardware & Sports in Midland, Michigan is locally owned. We are not a chain unlike Gillroys, Home Depot, or Lowes. Any “corporate profits” stay right here in Midland, they aren’t shipped off to Wallstreet. We live in the community in which we operate, and we are committed to making it the best place to live. Just like you, we want our kids to attend great schools, we want to live in a community that is vibrant with culture and full of possibility, and we are committed to making a difference locally. On average, for every $100 spent at local businesses, $68 remains in the community versus $43 for big box stores and almost nothing for online retailers. That’s a big difference.  Ace Hardware & Sports is your local hardware store in Midland Michigan. Whether you are looking for paint, lawn & garden supplies, hardware or tools, Ace Hardware has everything you need! Our expert staff will help you find the right supplies on the first trip so that you can turn your to-do list into a to-done list. Stop spending hours hunting through the big box store. Its time to get your weekend back. © Copyright 2013 Ace Hardware & Sports.